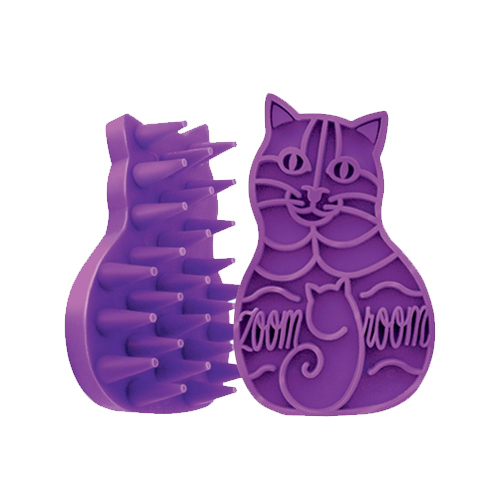 The KONG Cat Zoom Groom is like a magnet for loose hairs and massages your cat while brushing. The KONG is a flexible rubber brush with soft fingers for grooming your cat. The shape allows an easy grip. It removes loose hairs like a magnet and massages your cat while brushing. This can help reduce stress and anxiety. Regular grooming of your cat's coat can help condition the skin and reduce hairballs. Have you used KONG Cat - Zoom Groom before? Let us know what you think about this product. Useful and comfortable to use. Good one! Comfortable to use.